The house is built on a rocky slope of a valley. The property has an area of 11,200 m². Downstairs is a small river which is also the boundary of the domain. From the terrace you look out over the valley with a few meadows and fields. The house is a traditional Portuguese house, completely renovated in 2004 with all comforts. It had thick stone walls, the house is cool in summer and warm in winter. Besides the hall there is a spacious bathroom and two bedrooms. One room has a double bed, the other has two bunk beds. There is a fully equipped kitchen with refrigerator, freezer, gas hob, microwave oven, dishwasher, washer and dryer. In the living there is a lounge, dining table, TV and music system. In the winter months you can burn some wood in the stove. From the living room you have direct access to a spacious terrace. Downstairs there is an old water tank converted into a swimming pool. The bathroom is very spacious and fully tiled in white. It had a nice wooden ceiling. Coja is in the interior of Portugal, the nearest big city is the old university town Coimbra (65km). The Atlantic coast with his beautiful beaches and charming resorts are located on a small 100 km. 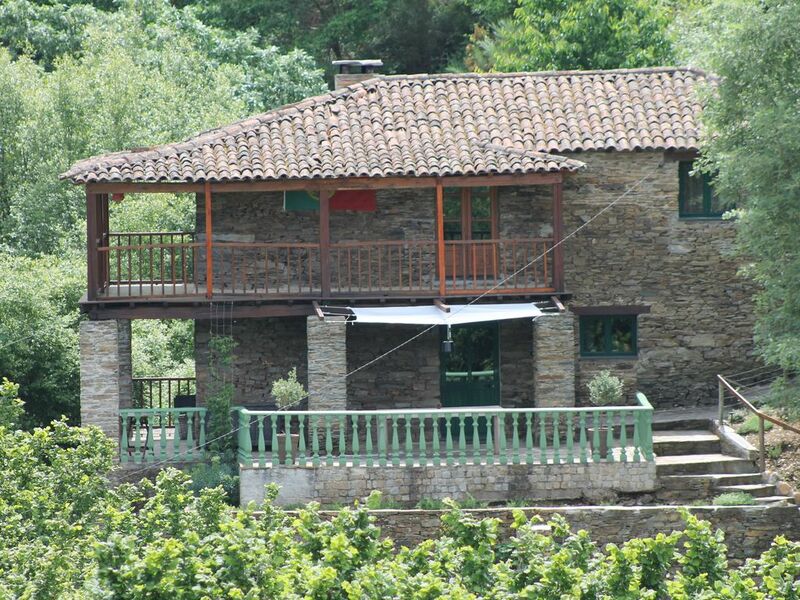 The cottage is situated at the foot of two mountain ranges: Serra do Açor and Serra da Estrela. These are natural areas with many forests, rivers and the highest peaks of Portugal. In Cerdeira (2km) there is a shop and a local cafe, where you can drink for only 75 cents a nice beer on the terrace. In Coja (5km) you will find cafes, restaurants, petrol station, bakery, shops, post office. The river Alva past the village of Coja and there is a very nice river beach. In the region there are many opportunities for walking, cycling or touring by car or motorbike. The waterfalls and nature of Fraga da Pena (7 km) is highly recommended. Also, several traditional villages and towns are worth visiting. The coast and the cities of Porto and Coimbra are accessible for a day trip. Gas and electricity are included from 01/05 till 15/10 From 16/10 till 30/04 you pay what you have used. In July and August we only rent weekly from Saturday till Saturday.